She is the sixth daughter in her family. Her father Shri Krishna Deo Singh passed away when she was just 3 years old. Her 18 year old brother took charge of the whole family and he along with their iron-willed mother helped the daughters get the finest of education in a convent school named ‘Carmel School’. After completing class X from Carmel Convent School, Giridih, Jharkhand (then Bihar) and class XII from St. John’s School Varanasi, she returned to Giridih. She then decided to earn her pocket money by imparting tuition to students of schools. She started ‘Paramount Coaching Centre’ in her hometown for students from Nursery to Std X in 1992. After completing her Graduation from Giridih College (Vinoba Bhave University), she moved to Delhi and did LL.B. from Campus Law Centre, Delhi University. Owing to financial crisis, she started imparting private tuitions along with her private practice at various courts of Delhi. But fate had something else in store. 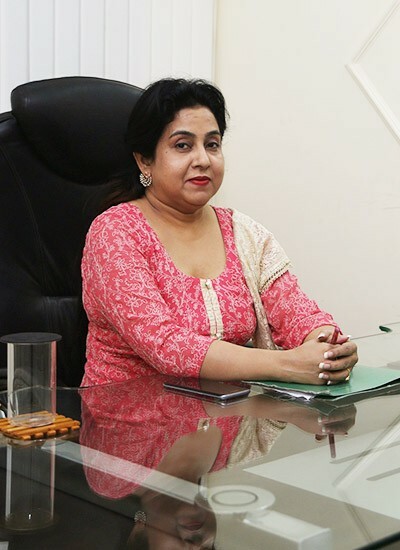 In August 2005, she founded ‘Paramount Coaching Centre’ in Delhi with absolutely no capital which slowly and steadily gained popularity due to her honest endeavour and zest to provide impeccable quality. She launched her book ‘English for General Competition – from Plinth to Paramount’ which was flagged ‘the best seller’ in Amazon in category ‘Competitive exams’.She is today a famous name in the field of education with a large fan following that comprises lakhs of young aspirants who looks up to her as their role model. She has always been a philanthrope by nature helping and supporting old age home, children’s home, street children, destitute and people needing medical help. In this endeavors she gave shelter to around 15 girls in her ‘Paradise Children home’ besides providing for this fooding and education in a public school. KD Campus Pvt. Ltd. for her is more pious than anything else; A worship for her because this institute has been named by her after her father’s name late KD Singh. In her sacred mission of Charity First, she has resolved to donate a fixed percentage of the collection for the upliftment of the poor and the less fortunate. Her mission to serve continues.